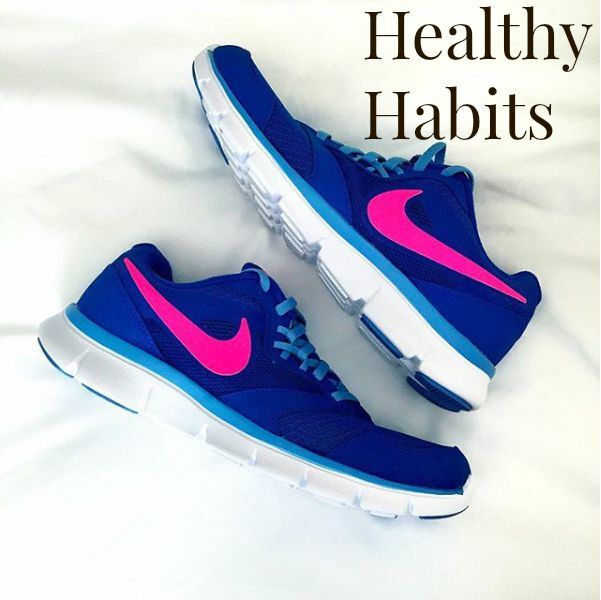 Although this post is labeled Healthy Habits, that doesn't necessarily mean diet and exercise. I'm going to be adding in some good life habits along with the "health" habits that you should start picking up now to help keep you balanced and happy later. It sounds weird, but I've been doing this for the last week and I feel more organized and put together. Even if I have clothes on my floor or water bottles around the room, at least the main part of my room looks neat and tidy. It also gives me less reason to nap, because that would mean that I have to remake it. I just think that this is a good habit to start doing now, since a clean, well-kept house is something I definitely aspire to have, and this is my first step. An oldie, but goodie. If you want to adopt a healthier lifestyle, try to avoid elevators. Taking the stairs is an easy way to burn a few extra calories a day, without too much effort. If you want to add another small calorie boost to your daily routine, park farther away from your destination. Obviously, the more you walk, the more calories you will burn. I know I always try to find the closest parking I can, but is it really that bad to walk an extra two minutes? Before starting your day, drink a big glass of water. Yes, even before your coffee. It will automatically make your body feel a little more awake, not in the way caffeine does, but you will feel less dehydrated. Drink a glass before each meal, as it will curb some of your hunger and make you feel full with less food. It's easier than you think to overeat, and drinking water before and throughout the meal can help you to stop eating when you feel truly full. The bank is your friend, well, most of the time. If you can spare a percentage of your paycheck, put it into your bank account. Even though interest nowadays is about, what .000001%, that's still more than it is sitting in your wallet. If you are against banks, or something of that nature, save your spare change. I've been doing this since I was very young, and last year I purchased a big vase from Marshalls to keep all my coins in throughout college. I'll eventually put that money in the bank, but even if you don't it's a good, steady way to save up some money. Those are just a few habits that I've been trying to do myself, but if you have any questions about other aspects of life, I would love to answer them. Send me a tweet @samimast, or send me an email theclassicbrunette@gmail.com! What are your best healthy habits? First, love those sneakers! Habits are hard for me so I don't really have any. These are all ones that I need to work on, except the take the stairs one, I like doing that. Oh, I love your tips and your sneakers!! Great advice Sami! Taking the stairs is great advice! Also, parking in the back instead of searching for the closest spot. It's an easy way to get a little more exercise! Great overall tips - important to keep moving especially when sitting at an office for 8 hours a day!